Our programs for both laypersons and mental health professionals include books, DVD's, CD's, and self-help materials available as free downloads. 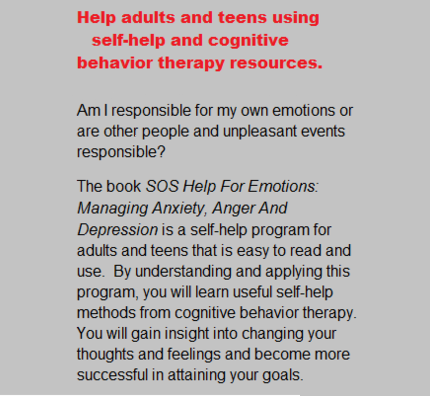 These programs and resources come from evidence-based techniques and principles of behavior therapy, cognitive behavior therapy, and additional approaches for improving emotions and behavior. 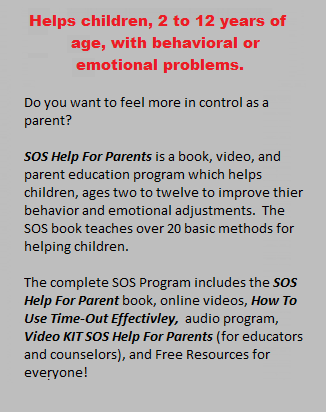 SOS books and resources are concrete, easy to understand, and easy to apply. They are highly visual, entertaining, and include self-help exercises. 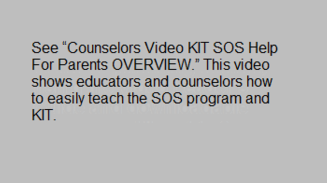 Psychologists, pediatricians, educators, psychiatrists, counselors, and other helping professionals often recommend SOS books. Internationally used, SOS books are effective in different cultures and are published in 18 languages.